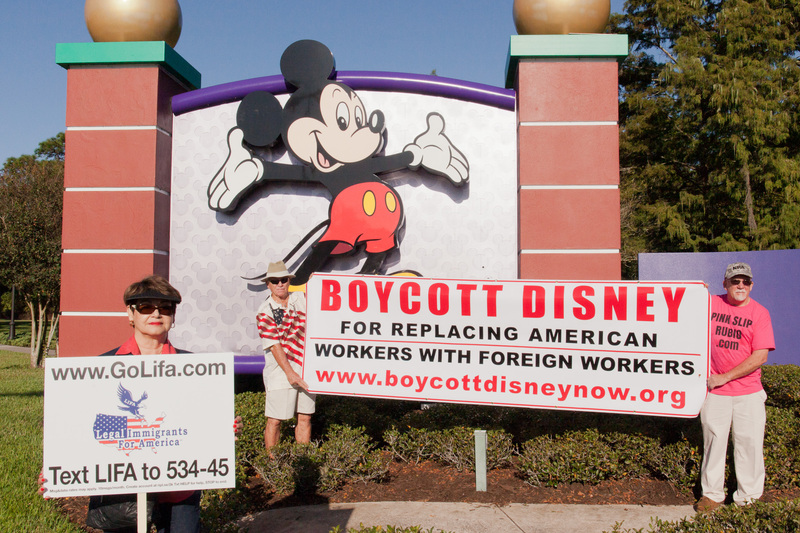 A pair of former IT employees at Walt Disney World in Orlando have filed federal lawsuits against Disney, alleging a conspiracy to lay them off and hire cheaper international workers in a flagrant abuse of the nation’s H-1B visa system. Leo Perrero and Dena Moore were two of more than 250 American-born IT workers at Disney who were laid off last year. Their attorney, Sara Blackwell, has stated that the lawsuits are designed to “kick [outsourcing companies] at their business model, to stop them from systemically abusing the immigration system. Legal Immigrants For America (LIFA) has met privately with Atty. Blackwell and the plaintiffs, and also has videotaped an interview with Atty. Blackwell about these cases. Two other companies, HCL Inc. and Cognizant Technologies, were also named in the suit. An outsourcing firm in India sent more than 250 IT workers to the United States to replace American-born IT workers at Disney. Some of the laid-off IT Disney workers even had to train their replacements. LIFA has stood shoulder-to-shoulder with Atty. Blackwell and the unjustly laid-off Disney IT workers. It is nothing short of an outrage that American companies can abuse the H-1B visa system to the detriment of capable American workers. Support LIFA today with your most generous gift possible so that we can continue to lobby Congress and hold the politicians’ and presidential candidates’ feet to the fire to put an end to this abusive H-1B system which devastates American workers! Give online to LIFA today! Thank you very much for your most generous gift to LIFA today!